Financial freedom is defined as the state of not having to work actively and be able to sustain a desirable lifestyle. You will have the ability to make choices, to spend time with your family and loved ones, to travel the world or to pursue a lifelong interest which you haven’t been able to. All these can be done without worrying about money. Read on to find out what are some steps which you can take in your pursuit of financial freedom. 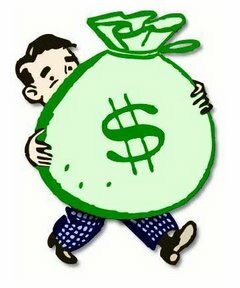 If you are earning an average annual income of $50,000, in 35 working years you will earn a total of $1.75 million in today’s dollars. If inflation averages 3%, this becomes $3 million. But how much are you likely to save? Some people may say, “If I earn more in future than what I get now, I will be fine.” But in reality, this is easier said than done. Whether we earn $2,000 per month or $20,000 per month, we ALL have a problem with saving money. The more we earn, the more we tend to spend. People who have worked for at least a few years can testify to that. Some fresh graduates earn about $3,000 per month. Three years into the workforce, some of them draw as much as $5,000 to $6,000 per month. Guess what? They feel poorer than they first started out. This is naturally so when you have multiple credit card bills, a car loan to service, a family to support, gym membership fees and many other expenses. 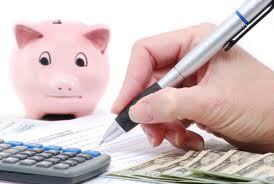 Therefore, it is wise to do a monthly cash flow budget, so that you know where your money goes. It is perhaps the first step to finding the extra dollars for saving and investment. Our government consistently sets aside 20% of national budget on defence. Without a doubt, protection is of utmost importance. Isn’t it only appropriate that we allocate 5% to 10% of our income to defend against untoward circumstances? Once you have set aside an emergency fund of 3 to 6 months of your living expenses, you should get down to taking care of your protection needs. This essentially means insuring You, because You are your greatest asset. We should be buying as little insurance as you need. But for most people, these protection needs are quite a lot. Being frugal is the fundamental of wealth building. Yet, too often, we have the false impression that all millionaires lead an extravagant lifestyle, which is exactly opposite from the truth! People whom I talk to who are financially carefree are usually living well below their income. They still pamper themselves with the occasional indulgence and frequent holidays. But trust me, these people do their sums. You should always discuss with your spouse on both your spending habits and hopefully arrive at a consensus. A couple cannot accumulate wealth if one of them is a spendthrift. Few can sustain lavish habits and simultaneously build wealth. Singaporeans generally build wealth by keeping a tight budget and controlling their expenses. Remember, “The lower your lifestyle, the greater your true wealth”. How so? Say A earns $50,000 a year, spends $20,000 in a year and has $200,000 in saving. B earns $300,000 a year and spends $250,000 in a year and has $1.5m in saving. A is wealthier than B because if both of them lose their income, A can survive for 10 years based on his saving of $200,000 whereas B can only live for 6 years. Wealth is the duration your savings can last based on the lifestyle you are used to if you stop work now. Look at your monthly budget. You should have $600 left over every month and save $7,200 a year but where is the money? From my experience, Singaporean can’t save cash, or they simply save only to spend it all later. These folks faithfully put aside $600 every month, only to wipe it all off with a long December holiday. Some prefer to splurge on furniture and electronic gadgets, others on cars and home renovations. The money disappears naturally. A typical Singaporean worker’s mindset is “I work so hard so I need to spend money to pamper myself.” Notice the logic, work hard and spend hard, work harder and spend harder. The only solution to this vicious cycle is to ensure that you have some form of disciplined and regular savings to help you set aside a certain percentage of your income every month. Get yourself started in a profit participating insurance policy, variable life policy or “Buy Term and Invest the Difference”. Just get started on “something” and see it through! Be persistent in setting aside at least 10-15% of your income every month; never waiver in this. Immediately invest or allocate any unexpected windfall you receive, like a bigger than usual bonus. Chuck it away before you spend it away.